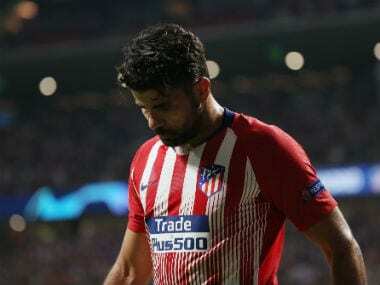 Madrid: Atletico Madrid forward Diego Costa faces at least two weeks out with a hamstring injury sustained during the 3-1 win over Club Bruges in the Champions League on Wednesday. 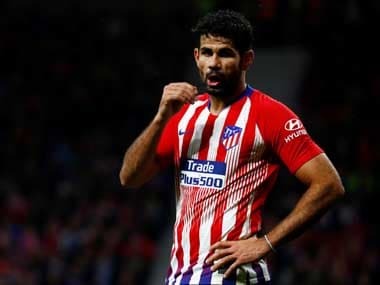 “Diego Costa, who was substituted in the 69th minute against Bruges, underwent a scan on Friday to find out the extent of the injury,” said a statement from Atletico. Costa has been ruled out of Sunday’s La Liga game against Real Betis and was left out of Luis Enrique’s Spain squad on Thursday for the games against Wales and England. Atletico did not say when Costa would return but a hamstring problem typically takes two weeks to recover from, meaning he may be fit to face Villarreal in La Liga on 20 October. 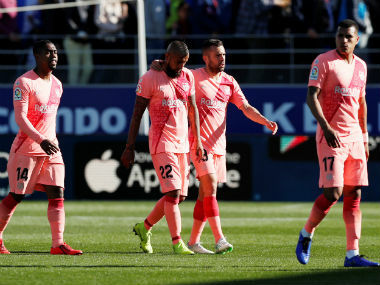 Costa, who suffered a hamstring injury in the 2014 Champions League final in his first spell at Atletico, asked to come off against Bruges just after providing the pass from which Antoine Griezmann scored the second goal to restore their lead. The striker has three goals in 10 games in all competitions this season although he has yet to score in La Liga. Atletico will look to either Angel Correa or Croatia striker Nikola Kalinic to partner France forward Griezmann up front.